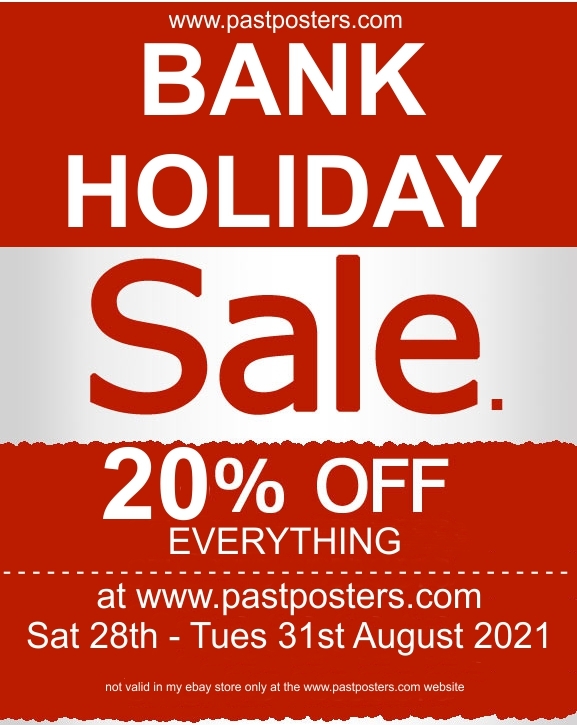 It’s yet another Bank Holiday Weekend which gives you a great chance to get 15% OFF EVERYTHING at www.pastposters.com Now’s the perfect time to grab yourself a bargain!. Perhaps you’ve been watching that one particular item for a while? Well grab it now whilst it is discounted before someone else beats you to it!. Choose from nearly 6000 Original Movie Posters, Lobby Cards and Memorabilia. No Minimum purchase and no codes required just purchase anything on the www.pastposters.com website between Friday 22nd and Monday 25th May and receive 15% OFF The item price.